Welcome to the last page of Chapter One! 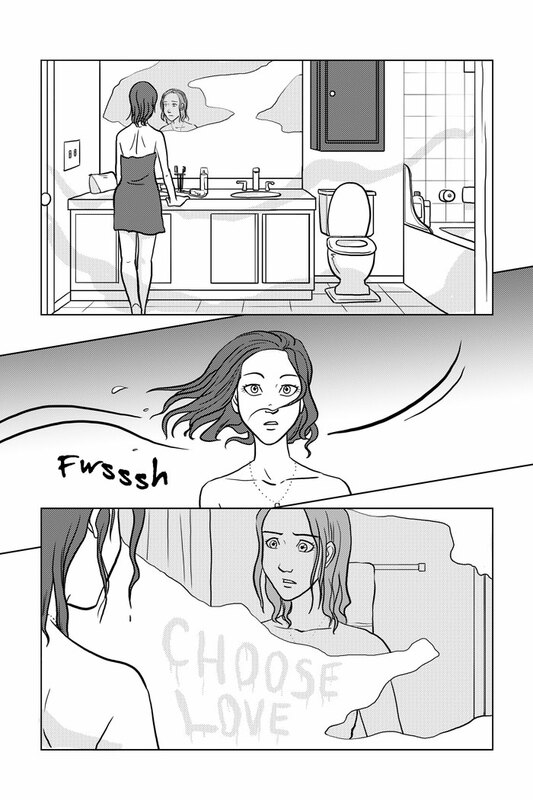 Come back next week for the first page of Chapter Two! aww…laila using her super-vamp-speed to leave a romantic message is just purrfect! Kimmy fails to realize her towel is gone aswell….dun dun dun! Yeah but was it even Laila? Ok all I can say is way cool! You can “write” with a finger on a mirror during, or even shortly before, a shower, and after the mirror fogs up, the message will appear. It’s actually pretty cool.